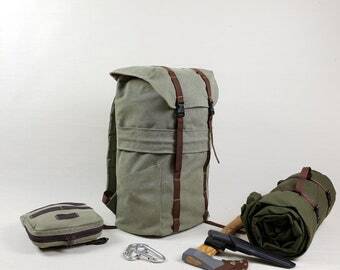 Bushcraft Pack, 14oz Canvas Backpack 23l . A bag inspired by traditional dry bags made of strong waxed canvas, genuine leather straps, solid brass buckles, and quality zippers. Rolltop cap and two solid wood plates which hold removable shoulder straps enable change of the shape and capacity from a small pack (15l) to cca 40 litres backpack. 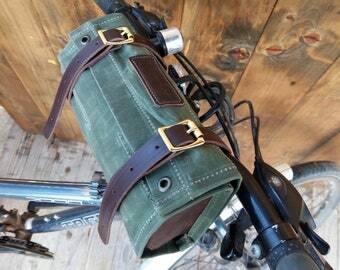 Weight is 1200g - 38oz complete with all parts and dimensions from 27x20x30cm (small pack) to 27x20x70cm (backpack). I received my Vagabond rucksack and custom bedroll today. The quality of materials and workmanship is excellent. The waxed canvas is thick an sturdy. The leather is smooth and supple. The sewing and construction show time and caring. The guys at Groundgear worked with me to give me exactly what I wanted. I was a bit nervous about the Ruck coming from halfway around the world, but it arrived in a timely fashion and even the packing and packaging was quality. Their materials and products are top-notch and I would gladly order from them again. 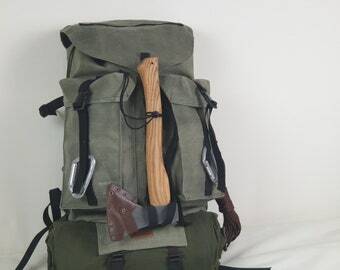 I looked around at many of the Bushcraft rucks on the market , and this one is one of the best. 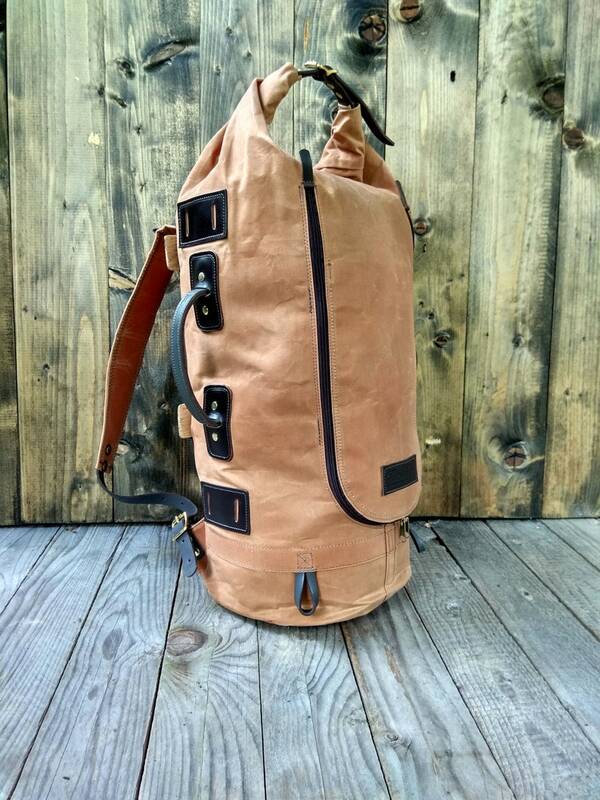 One of the most utilitarian and beautiful bags you will ever find. 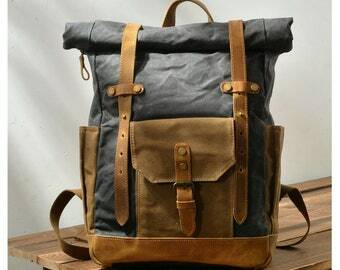 Waxed Canvas Backpack 20l .